Richard Newsom. left, is currently the Vice President of Operations Services and Project Support for Shell's Exploration and Production (E&P) Deepwater Division. 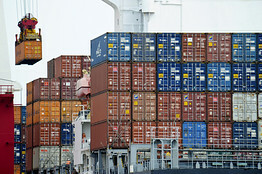 In this assignment, Mr. Newsom is responsible for Operations Excellence, Readiness and Skillpool Development for Shell's Deepwater Operations personnel; Regional Logistics (aviation, marine, road transport, terminals); Engineering Projects implementation; and Maintenance and Integrity, which includes asset reliability. Previously Mr. Newsom served in the capacities of Production Surveillance Manager (Deepwater Gulf of Mexico) and Strategy and Economics Manager for Shell's Americas Region. Prior to joining Shell in 2007, Mr. Newsom worked for 7 years with ConocoPhillips, 14 years for the Atlantic Richfield Company (ARCO) and for 2 years for Tenneco Oil Company. Mr. Newsom's career includes experiences on a variety of oil and gas assignments covering North and South America, the North Sea, Russia and Southeast Asia. His responsibilities have included: Asset Management, Exploration Evaluation, Business Development, Strategic Planning, Mergers and Acquisitions and a variety of engineering assignments. Janet Rolle is currently Executive Vice President and Chief Marketing Officer of BET Networks. Before joining BET Networks in 2007, Ms. Rolle was Vice President and General Manager of AOL's affinity websites, AOL Black Voices and the 10 websites in AOL Women & Lifestyle category. Ms. Rolle was previously Vice President, Programming Enterprises and Business Development at MTV Networks, responsible for growing revenue at VH1 and Country Music Television. Ms. Rolle began her career at Home Box Office (HBO), holding positions including Special Assistant to the Chairman, and Director of Marketing and New Media, for the video division of HBO. Ernestine Johnson gathered about 1,500 items for a black history collection. For 15 years, she has collected photos, posters and memorabilia about black history. Wanting to share her passion for the past, she would set up tables wherever someone provided space so she could put her collection on display. But as the collection grew - she estimates she now has 1,500 items - operating it as a traveling museum became increasingly difficult. The exhibit was provided with free space in the Gateway Mall to permanently house her collection. Johnson opened the doors to assorted visitors, including representatives from the Duval County school system. Boaz Adhengo, left, is working very hard to address environmental issues in Kenya. 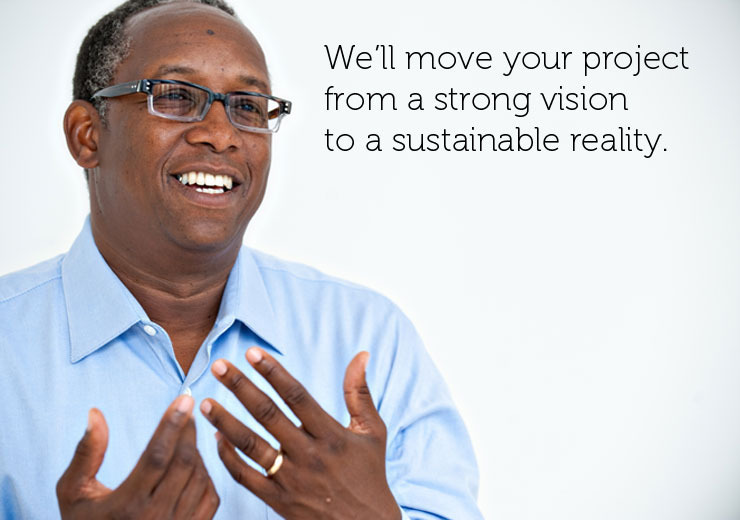 The AAEA Kenya Office needs your help to assure that we can accomplish our environmental mission in Kenya. Help today. Give a small or large general support donation or support one of the proposals below. Click on the Donate button and donate. 1. To support civil society organizations in the rural areas and the Government of Kenya to participate meaningfully in the climate change debates at the international level, including Conferences of Parties (COP). The objective of this project is therefore to organize a medical seminar that will be delivered freely to a target group. It is planned that this medical seminar will follow up with arranging for the implementation of a medical camp where minor illnesses could be treated and sensitization on key medical issues can be addressed. The main beneficiaries will be the youth and parents of Maringo village who have greater trust on ‘Mwarubaini” for its popularity on having a capability to treat forty diseases as confirmed by herbal doctors. nge in Kuria district due to poverty, retrogressive cultural practices such as Female Genital Mutilation (FGM) and a general negative attitude towards educating girls. It is important that these causes are addressed to ensure gender equity in education. This program works towards eliminating the root causes of inequalities in access to education. Environmentalists are dissing Congressman Kendrick Meek. Big time. The Congressional Black Caucus (CBC) should take note that as they have been the highest voting caucus in Congress for the past 40 years, mainstream environmentalists will betray them in an opportunistic heartbeat. Exhibits A, B & C are Robert Kennedy, Jr., Sierra Club and League of Conservation Voters, respectively. Kennedy endorsed Republican Crist, the Sierra Club endorsed Meek AND Crist (in essence a Crist endorsement, so Meek rejected the Sierra Club endorsement), and LCV 'virtually' endorsed Crist. They might grow a pair and actually come right out and endorse Crist before the election. Although Crist has been good on a couple of environmental issues, Meek has a 100 percent voting record with the national League of Conservation Voters. Jeez. Meek has also consistently opposed expanded offshore oil drilling (AAEA has been consistent in opposing expanded offshore drilling too). Are you paying attention CBC? Meek's rejection of the Sierra Club's spineless dual endorsement showed real class. And principle. Meek is a stand up guy. State tropper stock. How can Kennedy, LCV and the Sierra Club back Crist when Meek would have a real shot if CRIST did not muddy the waters by polluting the general election by running as an independent because he knew he could not win his own party's nomination? Do these environementalists have no shame? No honor? No loyalty? Evidently not. I just hope that Kendrick Meek has a very long memory. I hope the CBC does too. The 2010 Borlaug CAST Communication Award recipient, Dr. Akin Adesina, was be the keynote speaker today at a special CAST (Council for Agricultural Science and Technology) breakfast. Known for his dynamic speaking skills and his passion for world agriculture, Dr. Adesina addressed the gathering about the need to impact public understanding of agriculture through communication. For decades, Dr. Adesina has been advancing the cause of practical, science-based agricultural practices, especially in his home continent of Africa. He is a world-class scholar, and through his eloquent speeches and published papers, he has been working to keep agricultural issues at the forefront. He also provides leadership through such avenues as the Alliance for a Green Revolution in Africa (AGRA) where he promotes cooperation and action to help farmers. He has the ability to work with governments, the private sector, and smallholder farmers. As a vice president of AGRA, Dr. Adesina helps set policy and advises former United Nations (U.N.) Secretary Kofi Annan, current Chairman of the Board of AGRA. Recently, Ban Ki-moon, Secretary General of the U.N., appointed Dr. Adesina as one of the 17 world leaders who will consolidate global efforts toward achieving the U.N. Millennium Development Goals by 2015. 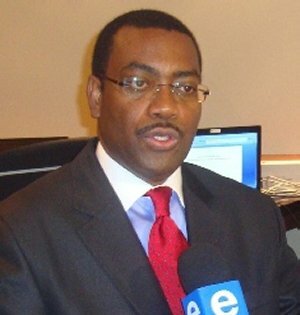 Dr. Adesina will emphasize the push to reduce world hunger. The Borlaug CAST Communication Award is presented annually by CAST for outstanding achievement by a scientist, engineer, technologist, or other professional working in the agricultural, environmental, or food sectors in contributing to the advancement of science in the public policy arena. arrangements for persons with disabilities will be made if requested at least two weeks in advance. Christopher A. Hart was sworn in as a Member of the National Transportation Safety Board (NTSB) on August 12, 2009 and designated by the President for a two-year term as Vice Chairman of the Board on August 18. Vice Chairman Hart presented testimony before the House Energy and Commerce Committee, Subcommittee on Energy and Environment, at a hearing on “Pipeline Safety Oversight and Legislation” on Thursday, 23 September 2010. The hearing addressed recent pipeline safety incidents and proposals for reauthorization or reform of the pipeline safety statute. Member Hart joined the Board after a long career in transportation safety, including a previous term as a Member of the NTSB. Immediately before returning to the Board, Member Hart was Deputy Director for Air Traffic Safety Oversight at the Federal Aviation Administration. He was previously the FAA Assistant Administrator for the Office of System Safety. He served as a Member of the NTSB from 1990 to 1993. After leaving the Board, he served as Deputy Administrator of the National Highway Traffic Safety Administration, before moving to the FAA in 1995. From 1973 until joining the Board in 1990, Member Hart held a series of legal positions, mostly in the private sector. He holds a law degree from Harvard University and Master’s and Bachelor’s degrees in Aerospace Engineering from Princeton University. He is a member of the District of Columbia Bar and the Lawyer-Pilots Bar Association. Member Hart is a licensed pilot with commercial, multi-engine and instrument ratings. Member Hart’s family has a tradition of accomplishment in the field of transportation. His great uncle, James Herman Banning, was the first African-American to receive a pilot’s license issued by the United States government, in 1926. Cynthia L. Quarterman was sworn in November 16, 2009, by Transportation Secretary Ray LaHood as the third Administrator of the Pipeline and Hazardous Materials Safety Administration (PHMSA). Nominated by President Barack H. Obama on August 14, 2009, Ms. Quarterman was confirmed by the United States Senate on November 5, 2009. 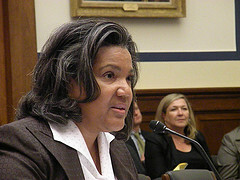 Administrator Quarterman presented testimony before the House Energy and Commerce Committee, Subcommittee on Energy and Environment, at a hearing on “Pipeline Safety Oversight and Legislation” on Thursday, 23 September 2010. The hearing addressed recent pipeline safety incidents and proposals for reauthorization or reform of the pipeline safety statute. 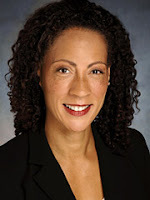 Ms. Quarterman was most recently a partner in the Washington office of Steptoe & Johnson LLP, where she was a member of the Regulatory & Industry Affairs Department. Ms. Quarterman's practice focused on litigation and administrative law. She litigated and advised clients on matters associated with pipeline safety, royalty valuation, federal land minerals management, pipeline acquisitions, Outer Continental Shelf (OCS) oil, gas, and liquefied natural gas facilities, the jurisdictional status of pipeline assets, as well as surface transportation, alternative energy and telecommunications. She also was involved in challenges to the royalty valuation of Alaska North Slope oil, cases at the Federal Energy Regulatory Commission (FERC) and the then-Interstate Commerce Commission (now the Surface Transportation Board), the FERC's disclaimer of jurisdiction over an anhydrous ammonia pipeline, challenges to the prudence of corrosion repair costs on the Trans Alaska Pipeline System, and multiparty hazardous waste clean-up litigation. Ms. Quarterman was a member of the Obama Administration Transition Team at the US Department of Energy. She is a former director of the Minerals Management Service (MMS) in the US Department of the Interior (DOI) March 1995-August 1999. In that capacity, she administered the programs to manage the mineral resources located on the nation's OCS, including leasing, exploration, development, and production of oil, natural gas, sulfur, and other minerals, and to collect and distribute revenues for oil, gas, coal, geothermal, and mineral development on Federal and Indian lands. As Director, she was responsible for ensuring compliance with many environmental laws, including the National Environmental Policy Act, the Clean Air Act, the Coastal Zone Management Act, and the Endangered Species Act. 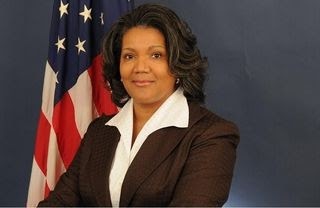 From 1992-1995, Ms. Quarterman served in various capacities at DOI, including as Acting Director of MMS, as Deputy Director of MMS, and as a member of the Office of Surface Mining's Interim Management Team. 4-9 Oct. 2010: Next round of UN climate talks in Tianjin, China. 9 Nov.-10 Dec. 2010: UN climate conference in Cancún, Mexico (COP16). Objective is to advance negotiations on basis of Copenhagen Accord. No binding agreement is expected. 28 Nov.-9 Dec. 2011: UN climate conference in Johannesburg, South Africa (COP17). Possible date for approving new international climate treaty.